RIP to the legend Muhammed Ali..
Konkobility” is definitely a hit By Olamide baddo. Enjoy below and share your thoughts. Finally, its here. Music video by YBNL’s Olamide performing the Shizzi produced “Who U Epp?” featuring Phyno and Black Diamond, Wande Coal. Sprisal Ent. presents this banging new video by Orezi titled “Under The Blanket” (remix), the record features YBNL lead act, Olamide. Quantum entertainment front man is back as he jumps on Olamide’s Who You Epp. Dope delivery and all, Neyo-G is currently working his EP which drops soon. 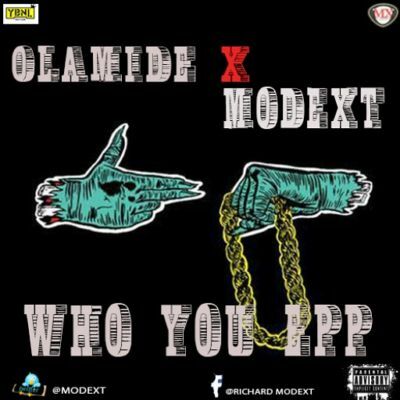 Olamide x Modext – Who You Epp? Modext is a creative singer, who’s last minute jump on the already trended “Who You Epp?“ viral sensation is still worth a spin. You can literally hear him having tons of fun as he plays around the sound. After almost two years of seemingly dropping off the radar, Akande Olashile Juwonlo better known as iJay drops his debut single, appropriately titled; Mo Juwonlo. The song is sampled off his feature on MI’s 2014 Chairman Album song titled “The Middle”which also featured Olamide.